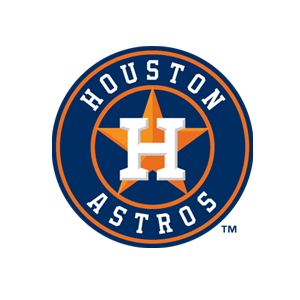 The Houston Astros promote responsible drinking and positive fan behavior at Minute Maid Park. The Astros Fan Code of Conduct and the details of the Astros alcohol management plan that appear below ensure that fans have a safe and fun experience. Customer Service is the number one objective of the Houston Astros. The team strives to provide its guests with the most positive baseball experience in the Major Leagues while in a safe, comfortable environment. • Dress appropriately for baseball. Remember that we have the unique opportunity to start a baseball game with the roof closed and finish it with the roof open. • Respect other guests’ ability to enjoy the game. Loud or obnoxious fans may be asked to leave the ballpark if their behavior is deemed to be offensive to guests around them. • Please do not bring balloons, beach balls, nets or laser pointers into Minute Maid Park. These items are not permitted at any time. • For the safety of all fans, do not interfere with the progress of the game or go onto the playing field. Any fan interfering with a ball in play or going onto the field will be removed from the park and could be subject to arrest. • Please sit in your assigned seat and be prepared to show your ticket to an usher or ballpark supervisor upon request. Located near Union Station on the main concourse, the Designated Driver Booth is part of the Aramark Corporation’s “Serves You Right” program. Any person over the age of 21 who goes to the booth and identifies himself or herself as a designated driver will receive a coupon for a free small soda at any of the Aramark concession stands.